Tom Dumke, Thomas William Furniture, to exhibit at the Bayou City Arts Festival. Tom Dumke, a furniture maker from Wisconsin will be exhibiting at the Bayou City Arts Festival, Houston, Texas. The Bayou City Arts Festival established in 1972, the Art Colony Association (ACA) is a 501(c)(3) non-profit organization dedicated to producing high quality art festivals and events. Memorial Park will welcome more than 30,000 Houstonians to the three day affair, which will take place on Friday, March 27 from 12-6 p.m. and on Saturday, March 28 and Sunday, March 29 from 10-6 p.m. The event gives Houstonians the opportunity to discover art from juried national and international artists, in addition to a total of 40 young, budding artists. 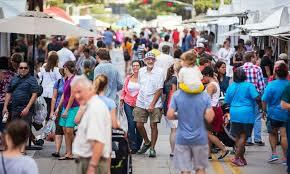 “I am looking forward to this beautiful art festival in Memorial Park. This will be my third year exhibiting at this show" said Furniture Maker Tom Dumke, “This festival is widely recognized as one of the top-rated outdoor fine art and fine craft shows in the country.” Tom handcrafts wood furniture that reflects the distinctive qualities of old world craftsmanship. 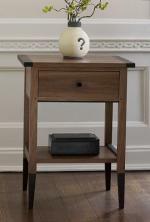 Using solid hardwoods, and with careful attention to detail, every piece is made with integrity to preserve the crafts long standing reputation of excellence. Tom's booth number is 61. 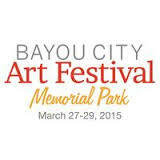 The location of the art fair is at Memorial Park in downtown Houston. Show hours are Friday, March 27 from 12-6 p.m. and on Saturday, March 28 and Sunday, March 29 from 10-6 p.m.